The long coastlines and islands of the Setouchi area house some of Japan's top luxurious retreats. These seaside paradises show the beauty of the Setouchi region of Japan and its vibrant blue and green waters that change colors with the seasons. 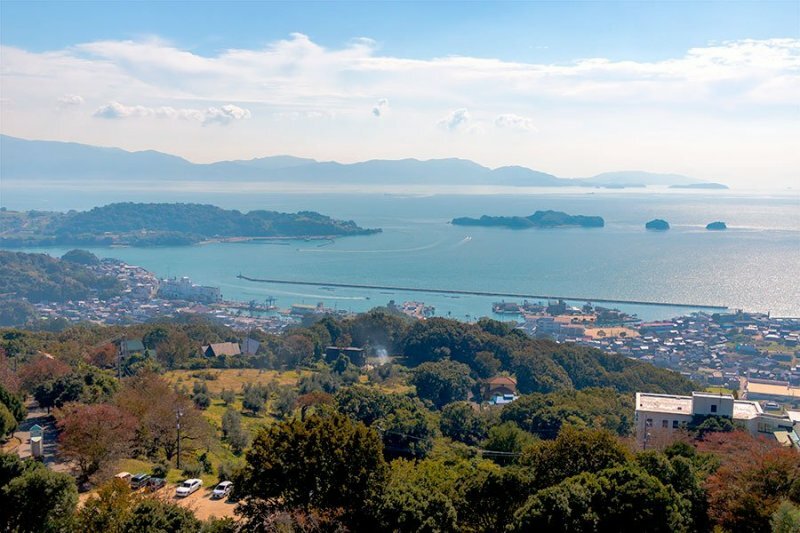 We took a selection of some of the top locations across Setouchi, from quaint coastal resorts to island escapes with views of the sea surrounding on all sides. The seaside and islands are so conveniently aligned that it is easy to hop from coast to island and back using boats and ferries. The calm and tranquil waters of the inland area provide a soothing and relaxing experience. 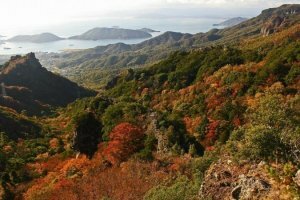 Both styles of resorts include the advantages of being in Setouchi with its moderate year-round climate, access to sensational cycling routes and charming seaside towns. Be sure to try the many distinct foods famous across the region, from Hiroshima style okonomiyaki to top class Kobe style beef with plenty of fresh fish, fruits and vegetables along the way. This beautiful seaside resort is full of sun and a unique Mediterranean Japanese fusion that is sure to leave an impression. As soon as you walk into the lobby with full views of the seaside and the large swimming pool you will forget everything but the waters. The seaside views are everywhere, from exercise rooms and spa areas on the upper floors to the lounge areas with fireside seating, music, library and more. 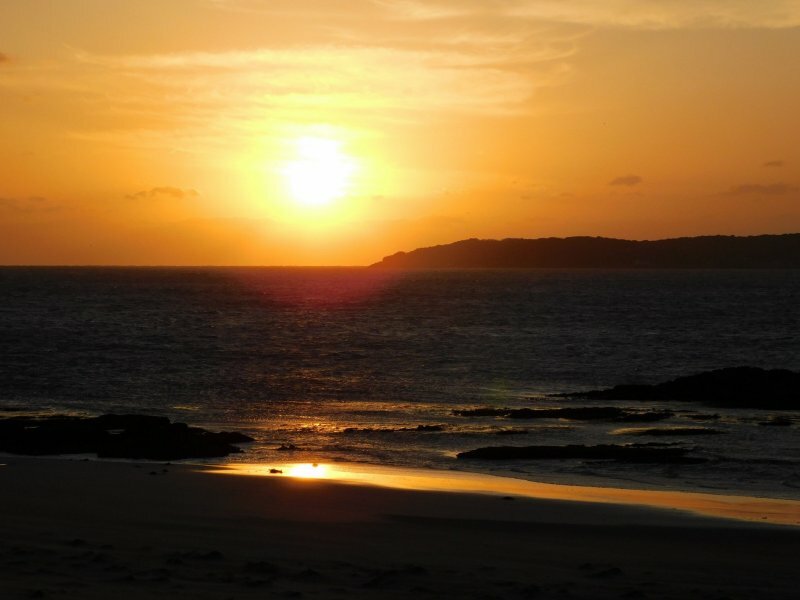 The views are celebrated in Japan as having one of the best sunsets in the country. 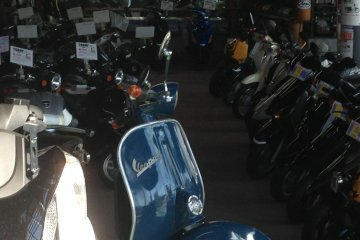 Visitors will also see the bright interiors and white and blue greek style color scheme. The hotel is not trying to be overly Japanese and the slogan is roughly translated as "Japan, but not Japan". 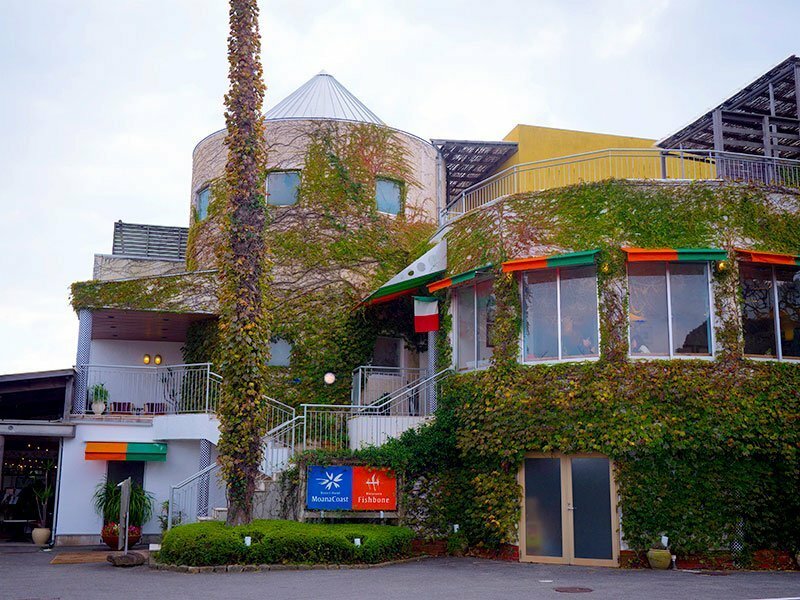 Foreign staff are available for support and the food menu is a mix of European cuisine and local Setouchi products curated by a Greek chef. 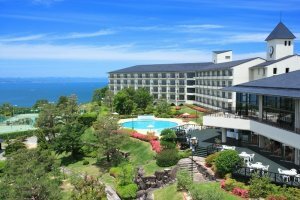 Hotel Limani is located in Setouchi City, Okayama Prefecture, towards the eastern part of the Setouchi Inland Sea. 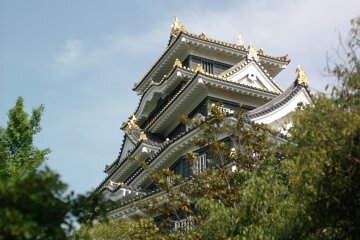 Best accessed from Okayama City by car. 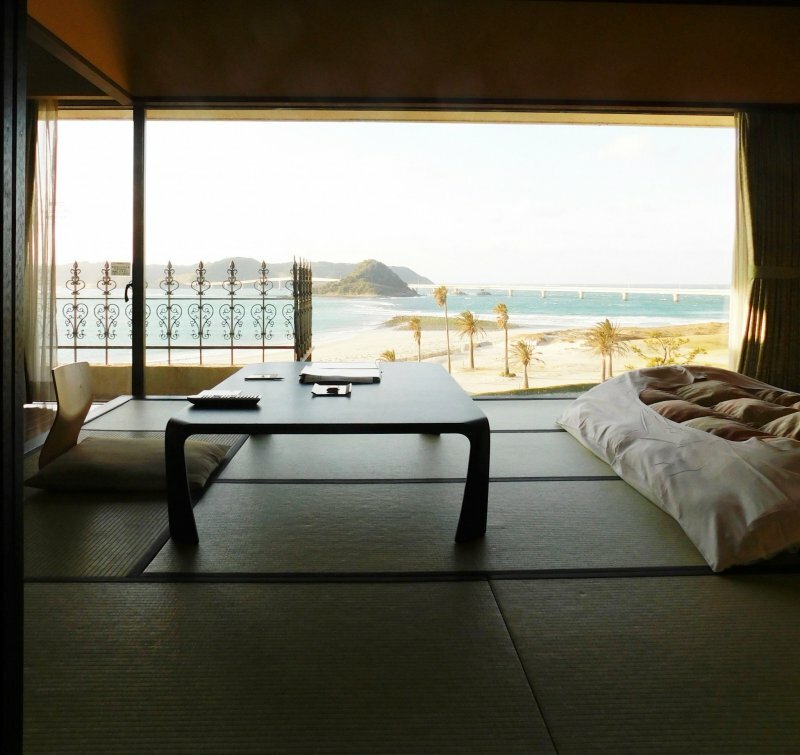 The Olivean is situated high up on the island of Shodoshima with expansive views of the surrounding seaside. The Olivean has all you need for a relaxing and luxurious getaway. 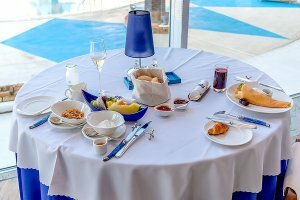 In addition to a champagne sunset service, outdoor hot springs and dining at the buffet style dining, the hotel is packed with outdoor activities which you can do in full view of panoramic views of the blue waters, including barbecue, golf, tennis, cycling and more. Shodo Island, also known as Olive island, is full of things to do and the hotel will arrange bicycles, shuttle buses or cars for guests looking to get around. 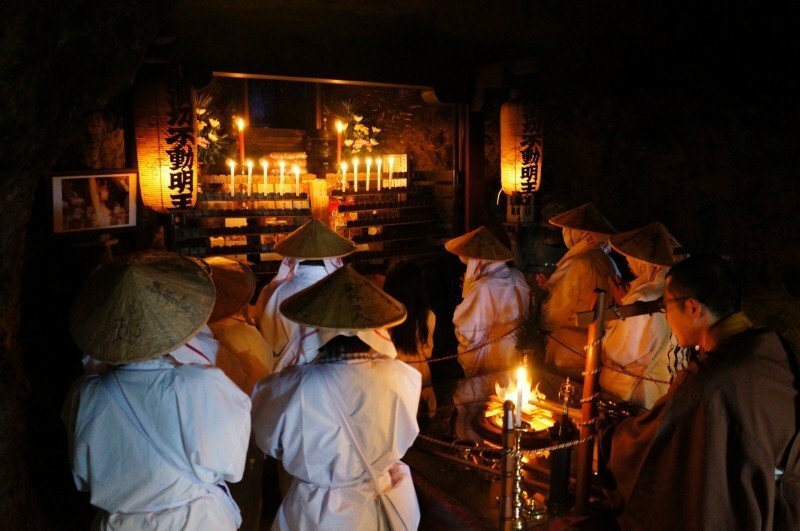 Some of these things to do include the Marukin Soy Sauce Museum, Shodo Island's 88 Temple Pilgrimage, Angel Road, Kanka Gorge and the Setouchi International Art Festival, typically held over 100 days throughout the year. 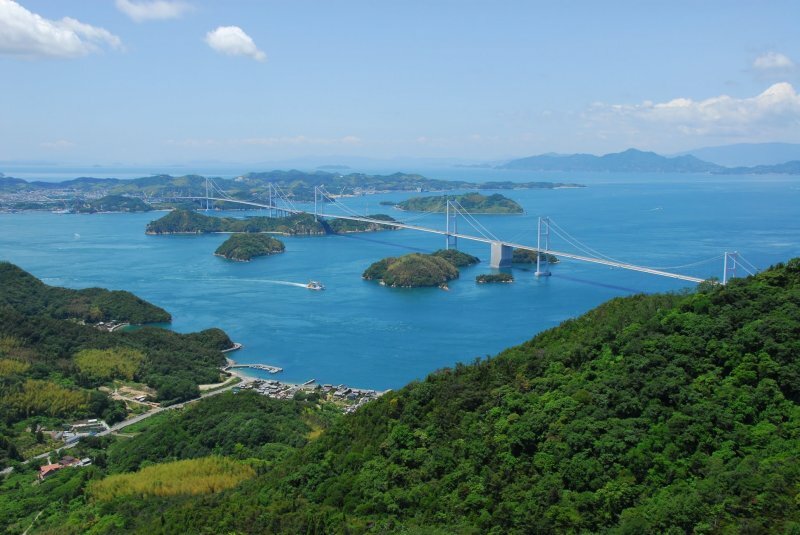 Olivean Shodoshima is accessed via boat or ferry from multiple ports in Okayama or Kagawa Prefectures. 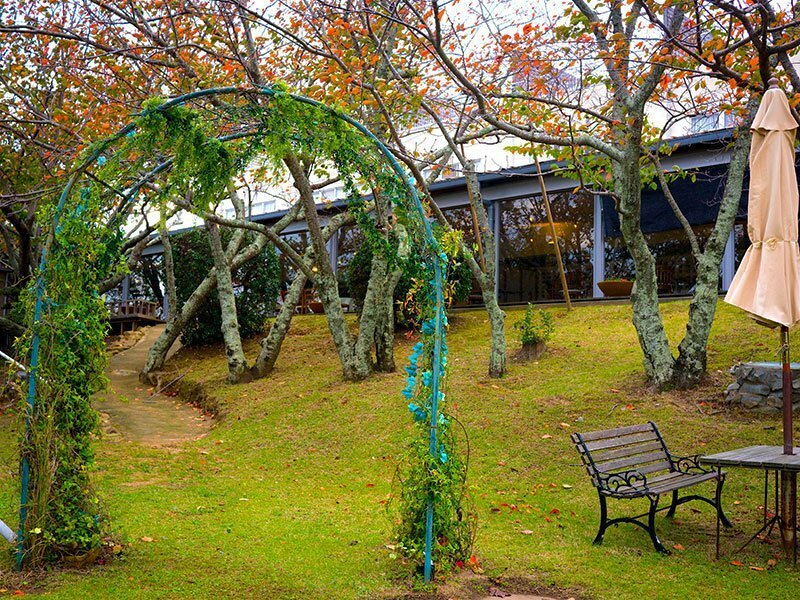 Along the eastern Moana Coast of Naruto, Villa Bel Tramonto resort is set in a rural scene surrounded by nature. Green lawnscapes and vine covered buildings and pathways are reminiscent of an Italian setting though the large number of cherry blossom trees in the surrounding mountains remind us we are in Japan. This is a romantic getaway resort famous for proposals and specialized for adults with a minimum guest age of 13 years old. Private walking paths and jacuzzi baths help to set the mood. 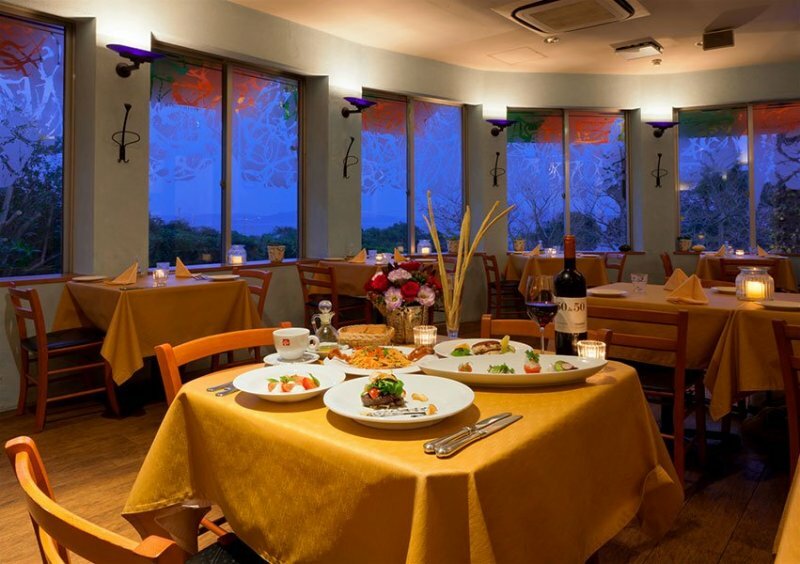 Dishes are signature Italian with local ingredients including seasonal fish and local vegetables fresh from the backyard farm. 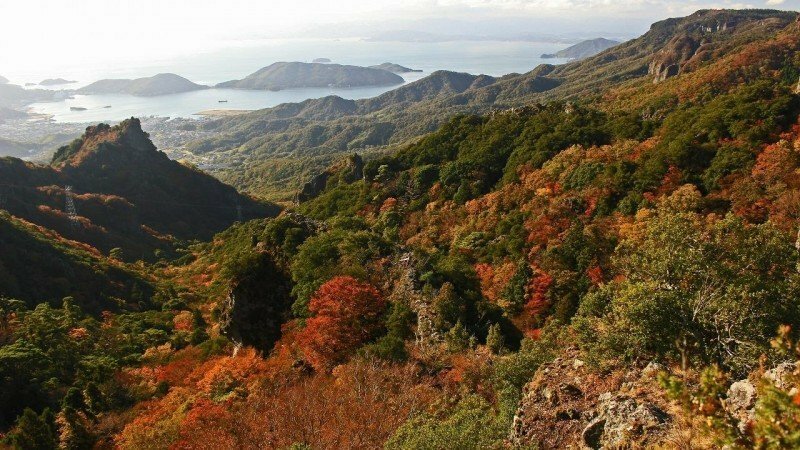 Villa Bel Tramonto is located in Naruto of Tokushima Prefecture. 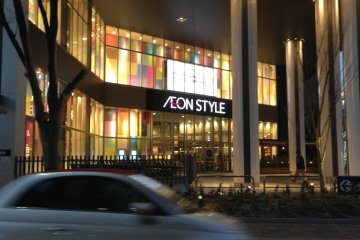 Access via shuttle bus or car from Kansai International Airport or Tokushima Airport. 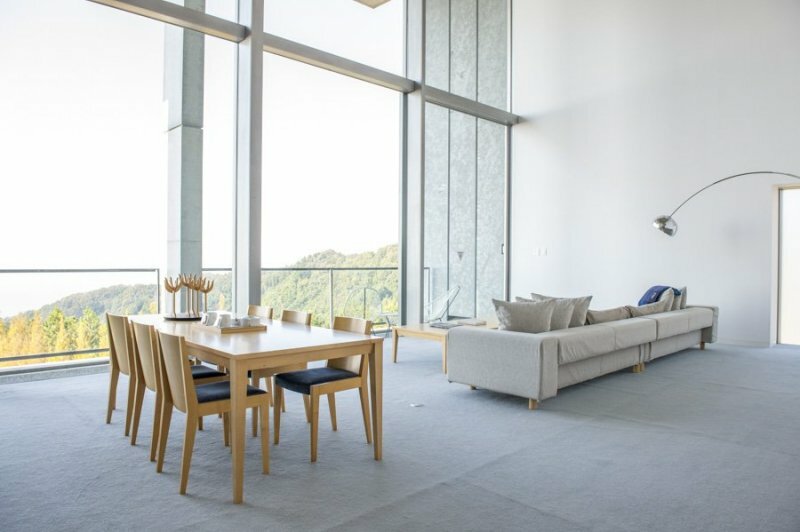 Created by famous architect Tadao Ando, Setouchi Aonagi is a modern hotel designed to reduce interior furnishings and focus on the surrounding nature in minimal luxury. This is a quiet resort elevated high in the mountains perfect for guests to leave their busy lives behind. Floor to ceiling windows and open air spaces allow guests to view the blueness of both sky and ocean. 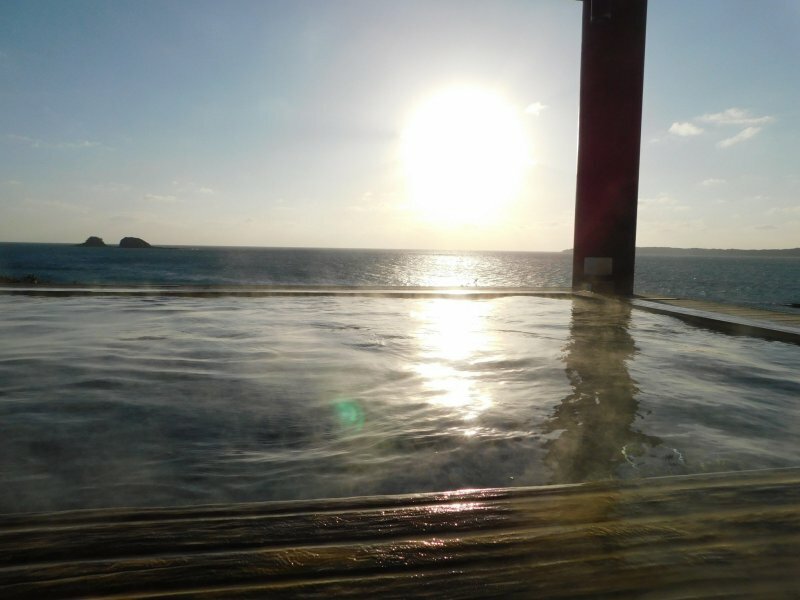 Guests may enjoy facilities such as hot spring suites, saunas, and the signature infinity deck pool that faces the sea in the west with sunset directly over the center of the pool. Seasonal ingredients from the Seto Inland Sea and Shikoku are served in elegant Kaiseki settings that often go on for more than two hours with pause for sunset viewing. Setouchi Aonagi is located in Ehime Prefecture, in the mountainous region north of Matsuyama. 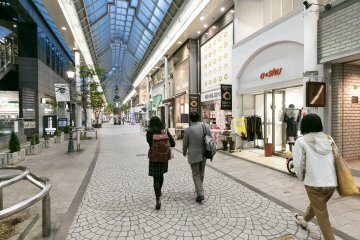 Accessible by car or taxi from JR Matsuyama Station and Matsuyama Airport. 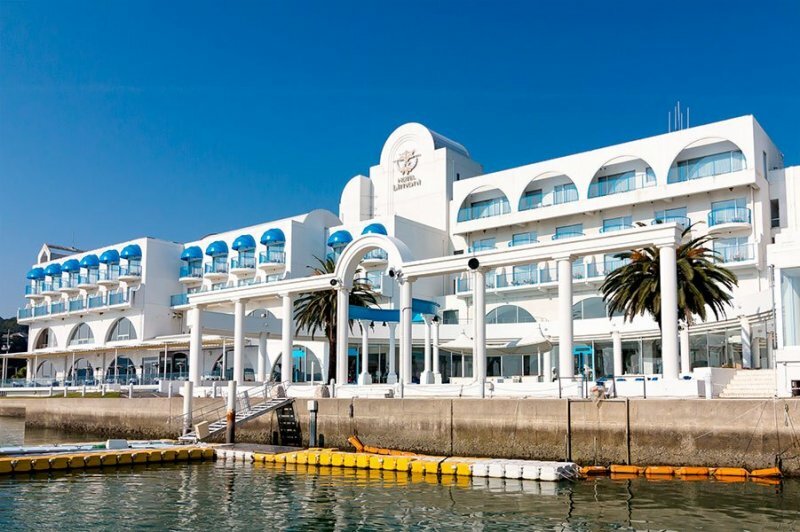 The Hotel Nishi-Nagato Resort faces the outer Sea and its clear blue waters are within sight of Tsunoshima Island. 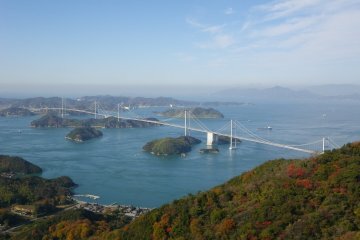 Breathtaking views of the ocean and the 1,780-meter Tsunoshima Bridge can be seen from all rooms and facilities. 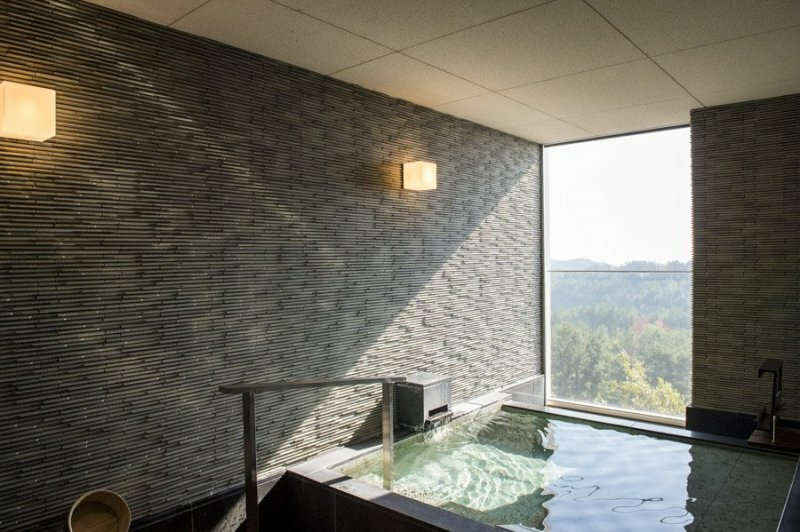 Whether you are in your room, lobby, restaurant, or onsen, the captivating view of the ocean will follow you in the Nishi Nagato Resort. 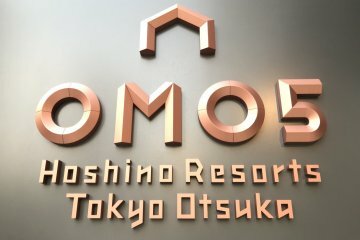 The only hotel in our list, this accommodation is attractive to both high end travelers and families with children depending on the room selection. 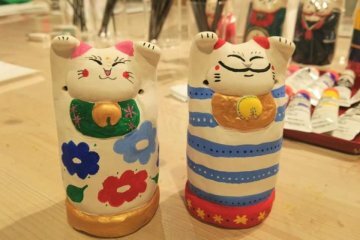 Rooms are a mix of western-style and Japanese-style rooms. 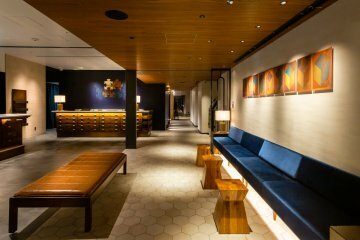 The traditional atmosphere of the rooms and hotel interior is greatly enhanced wear one of the hotel-provided yukata. 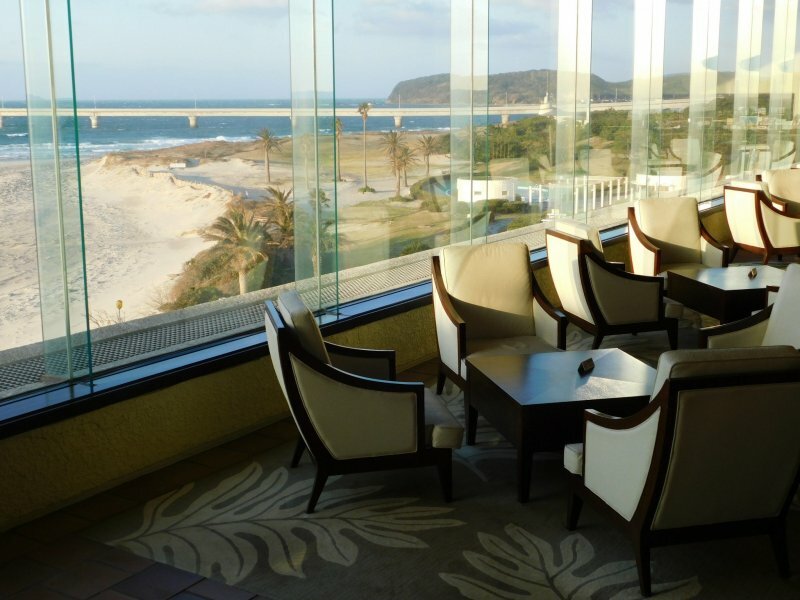 Relax in front of the wide sea from your balcony or the onsen and listen to the waves crashing against the rocks. 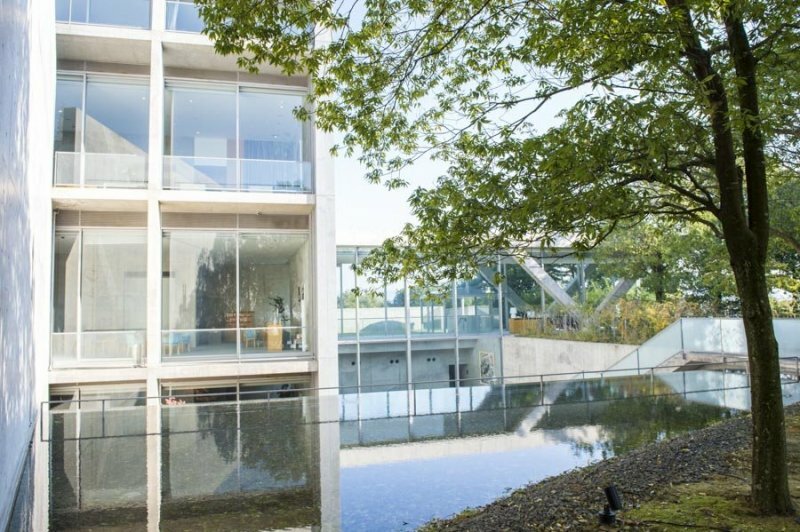 Before retiring for the night, enjoy high class cuisine at the on-site Japanese restaurant, centered around a garden and pond with carp and lobsters. 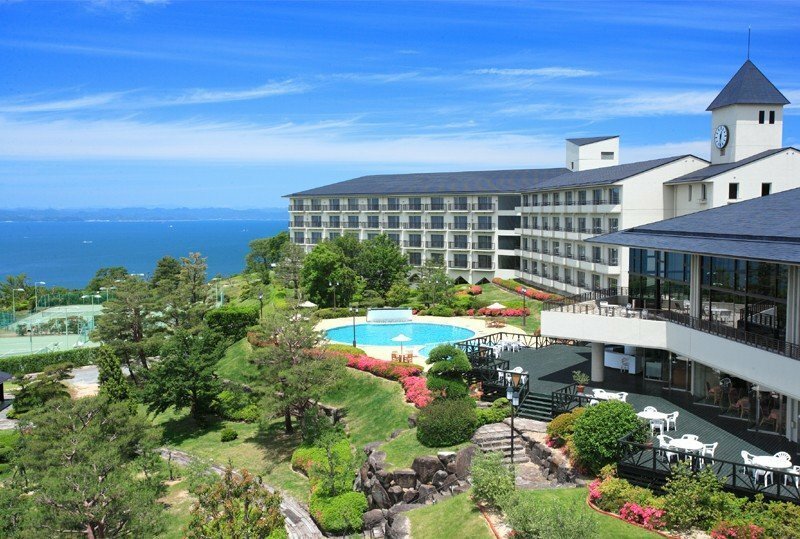 The Hotel Nishi-Nagato Resort is located in Northwest Yamaguchi Prefecture nearby Tsunoshima. Accessible by train to Agawa Station and taxi, shuttle bus or rental car.